Apple Dumpling Day Racers enjoying some Organic Fuel. The Apple Dumpling Days is an annual festival, held the first Saturday after Labor Day, sponsored by the city of Elroy, Wisconsin. As part of the festivities, the Elroy Lions Club hosts the Elroy Apple Dumpling Day Races. The first races were held in 2007 with a 5K “Apple Dumpling Dash” and a single kid’s race. In 2008 a half marathon “Sliced Apple” was added and in 2013 a full marathon “Big Apple” was added. The 5K, half marathon and full marathon are all USATF certified. Elroy is the center of three abandoned railroad beds that have been converted into bike trails—Juneau County Omaha Trail, the Elroy-Sparta Bike Trail and the 400 State Trail. These trails are ideal for the Apple Dumpling Day Races. The 2014 Apple Dumpling Day Races were held Saturday, September 6. Amil’s Inn was privileged to have two guests that were Big Apple participants and two guests that were Sliced Apple participants. Also the Innkeeper and his son were Sliced Apple participants. For more information, visit the Apple Dumpling Day Races at www.appledumplingdayraces which was the source of this information. Amil’s Inn also had some special treats for the participants. 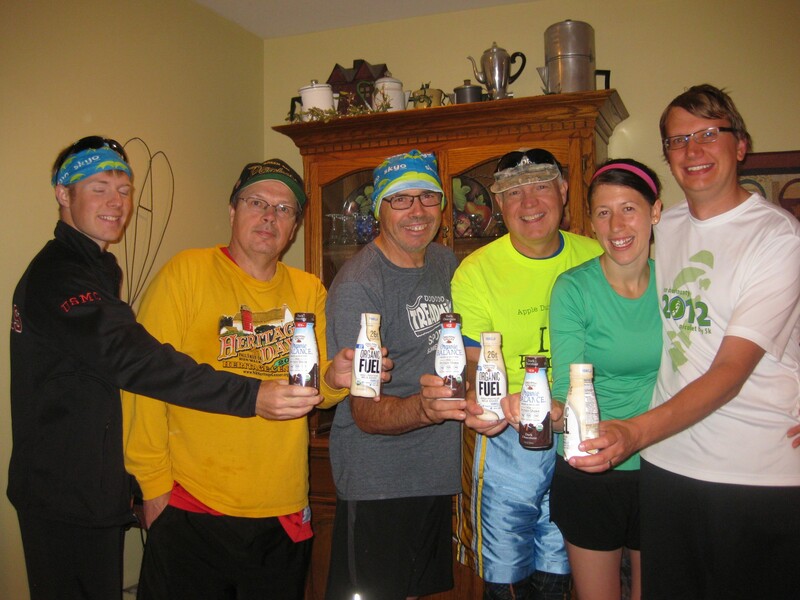 Organic Valley of La Farge, Wisconsin donated some of their Organic Fuel for the racers. Organic Fuel is a nutritionally balanced, organic milk protein recovery shake. The shake is designed to benefit both endurance and strength athletes. Organic Fuel has an optimal mix of protein, carbohydrates and fats which help an athlete’s body restore glycogen levels while building and repairing muscle. All which help one’s body recover faster and feel less sore the next day. For more information about Organic Fuel and other Organic Valley products visit www.organicvalley.coop which was the source for the information about Organic Fuel.